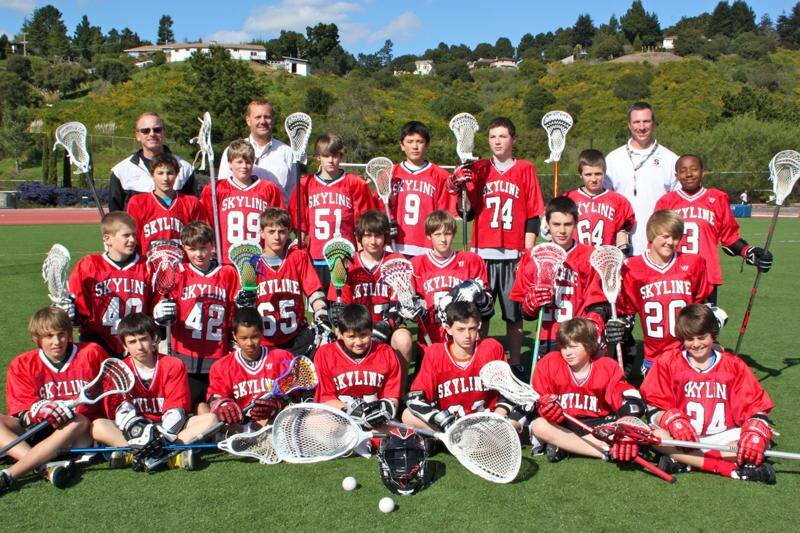 Skyline Lacrosse is one of the oldest lacrosse organizations in California, first established in 1979. At that time, competition was among high schools such as University High in San Francisco and Novato High School, UC Berkeley and Stanford, the San Francisco Men's Lacrosse Club, Hamilton AFB, and Skyline Lacrosse. In 1982, the Club became Oakland Youth Lacrosse and began offering 7th and 8th grade teams at Montera Junior High School. In 2018, Skyline began offering 1st and 2nd graders the opportunity to play recrational lacrosse with our inaugural U8 season on both the boys and girls sides. Today, Skyline Lacrosse Club fields boys and girls teams for players in 1st through 8th grade. As of 2018, Skyline Lacrosse has over 250 participants, from Oakland, Piedmont, Alameda, Berkeley, Castro Valley, and many other local cities, school districts, and independent schools. We provide informal instruction and scrimmages during the fall, and every team plays a full & competitive schedule during the spring season. We compete in the Northern California Junior Lacrosse Association (NCJLA) playing teams from all around the Bay Area and Northern California. Skyline is a registered 501(c)3 non-profit organization. The Skyline Lacrosse Club's success is based on our approach to the game: develop individual fundamental skills, emphasize teamwork in games, and have fun. Our coaching staff is very experienced, most having played at the college level, including at UC Berkeley, Amherst, the Claremont Colleges, University of Connecticut, Colorado, UC San Diego, UC Davis, and others.